Other photos: Photo 1, Photo 2, Photo 3, Photo 4, Photo 5, Photo 6, Photo 7, Photo 8, Photo 9, Photo 10, Photo 11, Photo 12, Photo 13, Photo 14, Photo 15, Photo 16, Photo 17, Photo 18, Photo 19, Photo 20, Photo 21, Photo 22, Photo 23, Photo 24, Photo 25, Photo 26, Photo 27, Photo 28, Photo 29, Photo 30, Photo 31, Photo 32, Photo 33, Photo 34, Photo 35, Photo 36, Photo 37, Photo 38, Photo 39, Photo 40, Photo 41, Photo 42, Photo 43, Photo 44, Photo 45, Manufacturer Provided Image: Saloon Layout, Manufacturer Provided Image: Accommodation Layout. 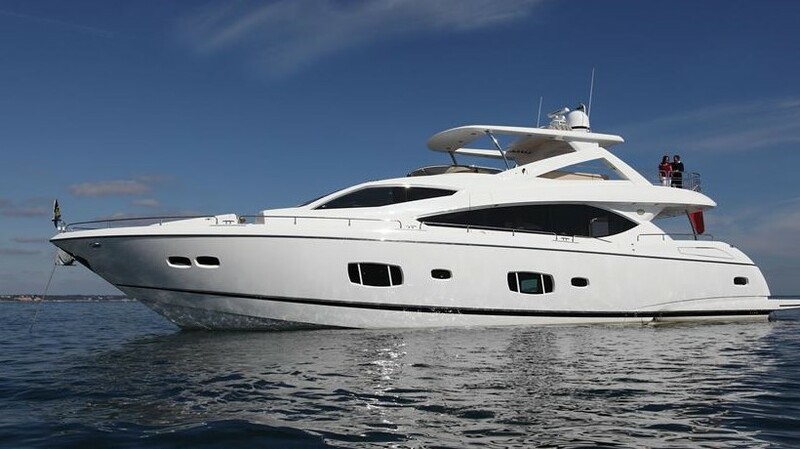 Immaculately kept, another fine example of Sunseeker's commitment to superior fit and finish. Spacious 4 Stateroom/4 head layout plus crew aft. Reliable twin CAT C-30's @1550 hp each. SYS Yacht Sales is pleased to assist you in the purchase of this vessel. This boat is centrally listed by Rick Obey & Associates.